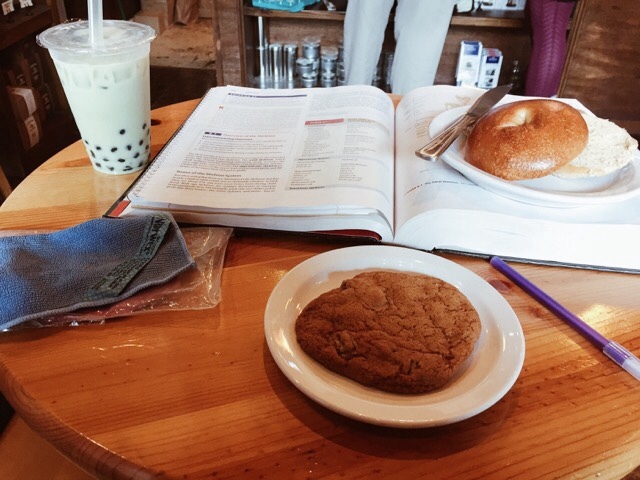 Today, I went down Division to one of my very favorite tea houses for a study session. 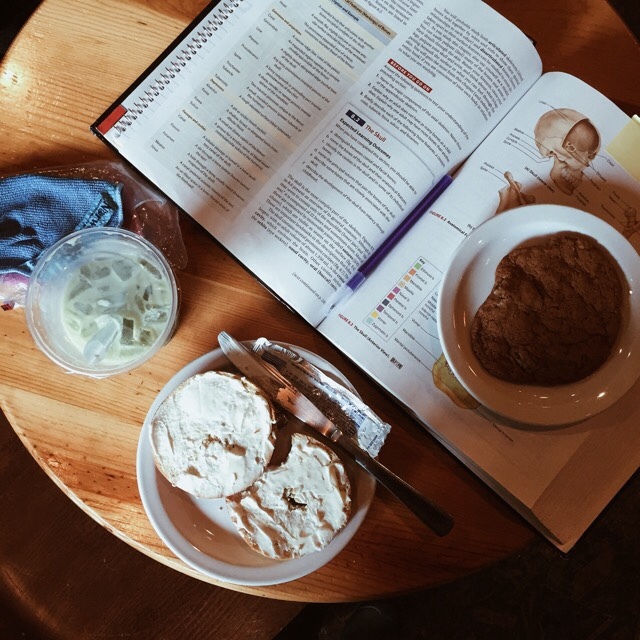 I have my second anatomy exam coming up, and I thought it would be fun to get out of the house, and study in a different environment. 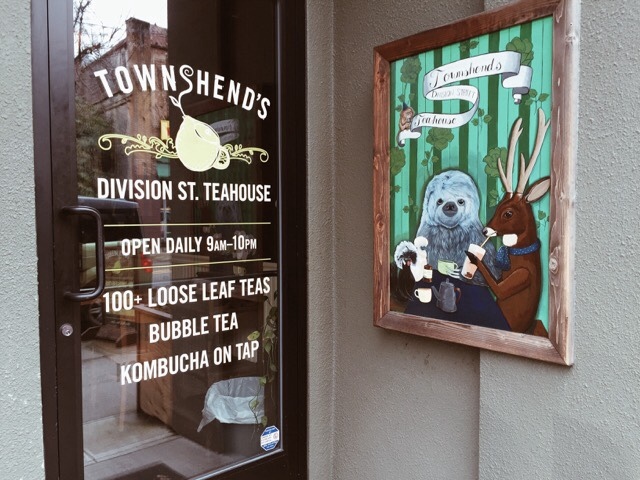 Townshend's Teahouse is my favorite because they have such a wide variety of teas to choose from, as well as a number of different beverages, such as bubble tea, chai lattes, and kombucha. They also have tasty treats, vegetarian pot pies, and gluten free options! It is just a super chill place to hang out, and I love coming here when I can. Today, I splurged a little bit and got myself two treats, and a bubble tea. 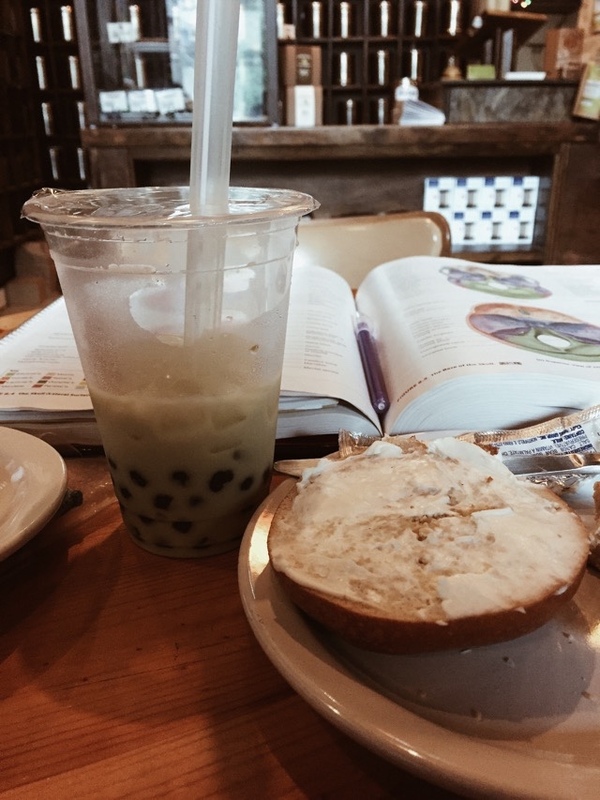 I got a toasted plain bagel with cream cheese, a chocolate chip cookie, and my favorite: a green tea based milk boba tea. Perfect treats for accompanying me in my studies. Townshend's has so many teas to choose from! They even have wellness teas for stress, clear skin, tummy trouble, just about anything really. Their Morrocan Mint tea is soothing and subtle. 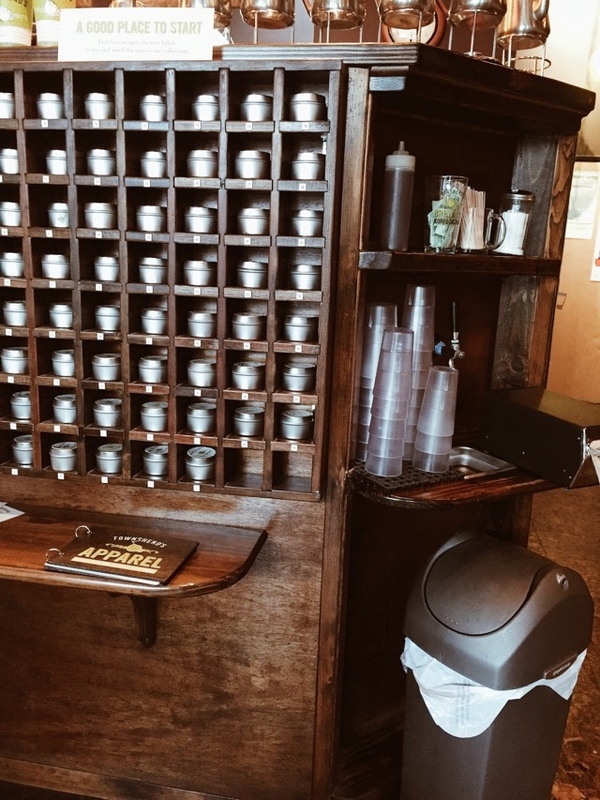 Seriously, don't let yourself get overwhelmed when looking through their list of teas. I loved studying here! 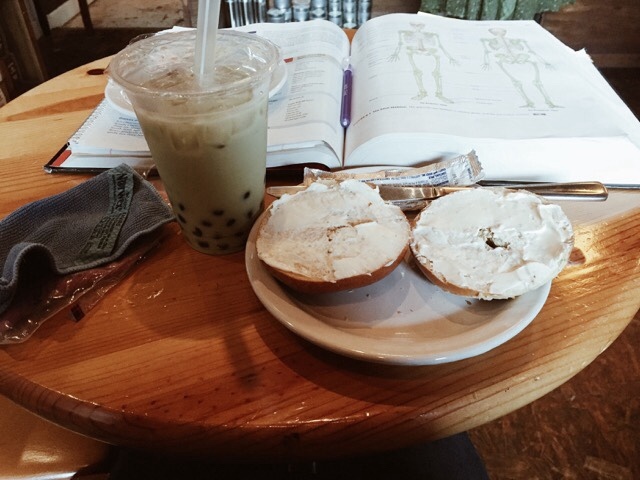 I actually memorized most of the bones of the skull while sipping on my bubble tea. I love the music they play in the background, and the subtle people watching that I did in between reading. It was such an enjoyable time. Plus, the bagel (From Bearnstein's Bagels) and the cookie were so good! Their bubble teas are always scrumptious! I particularly love their green milk tea. 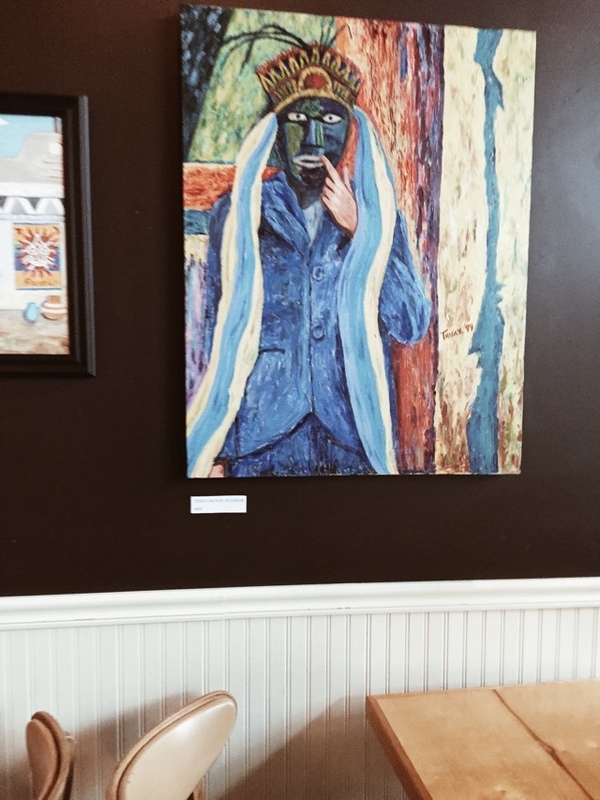 A Portland tea or coffee house is never complete without some local art that is for sale! They put up new artists every so often, and they are always colorful masterpieces created by Portland locals. It's funny. After almost six years of blogging, I am atill a little shy to take pictures in public, even if it is considered part of the "modern culture." 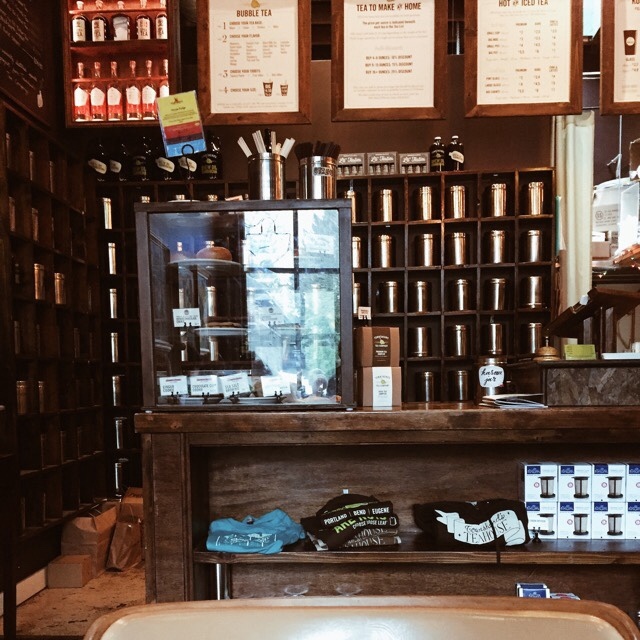 Townshend's is an intimate, and smaller tea house, plus it is usually, always busy, all of the tables are taken, I just feel so self conscious about it. 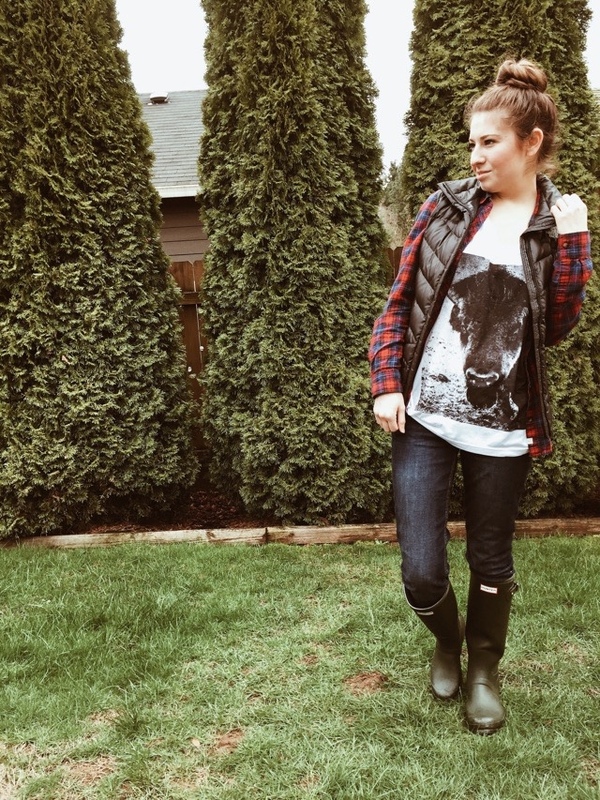 I am glad that I gave myself a little pep talk, "be prideful about your blog." I told myself that if I am ashamed or shy to take photos of the awesome things I do, in public, then I am not knowing pride for my passion: blogging. So, I snapped away. Nobody looked at me funny, nobody asked me why I was taking pictures of my food, nobody seemed to care, and that is okay with me. If anyone were to ask, I would simply explain. I have had to explain in the past, and they end loving the fact that I am a blogger, and they end up becoming a reader! The service at Townshend's is so wonderful! They are friendly, nice, and they try to cater to whatever you may want, whether it is a large group, or a non-dairy bubble tea. They are awesome! Something unrelated to Townshend's... I couldn't not share my outfit for today. 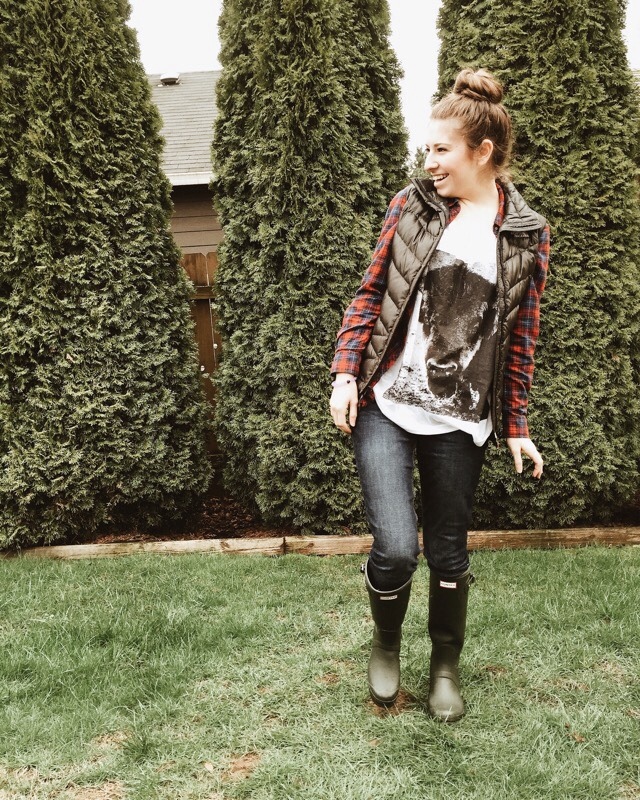 Wearing my new t-shirt from Cara Loren Shop, and giving my original green Hunters some love. I felt this outfit was worth documenting. Variations of this outfit have been my Winter uniform for the past couple of months. I admit it, I am kind of preppy. 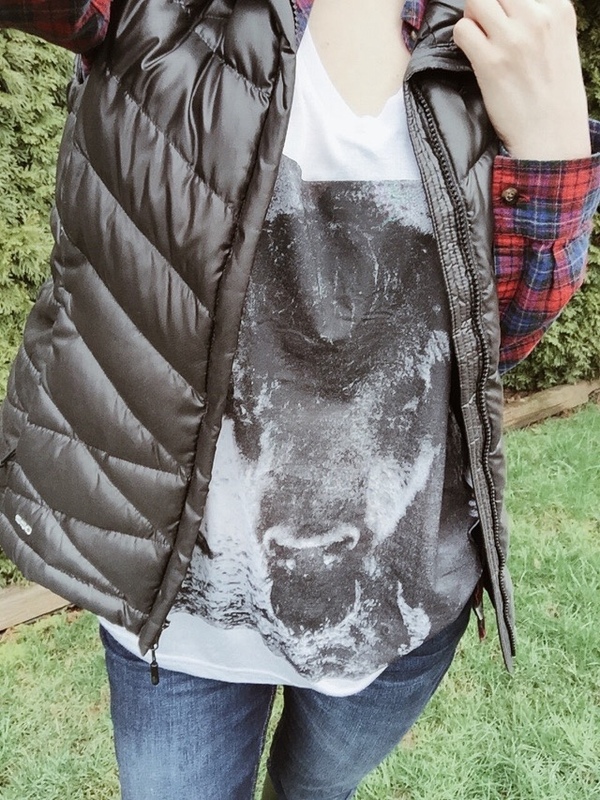 I like to be preppy and stylish if it also means I can be warm and confident. I would say that I was extremely productive today, after a study session at Townshend's, I feel steps closer to rocking this second exam! 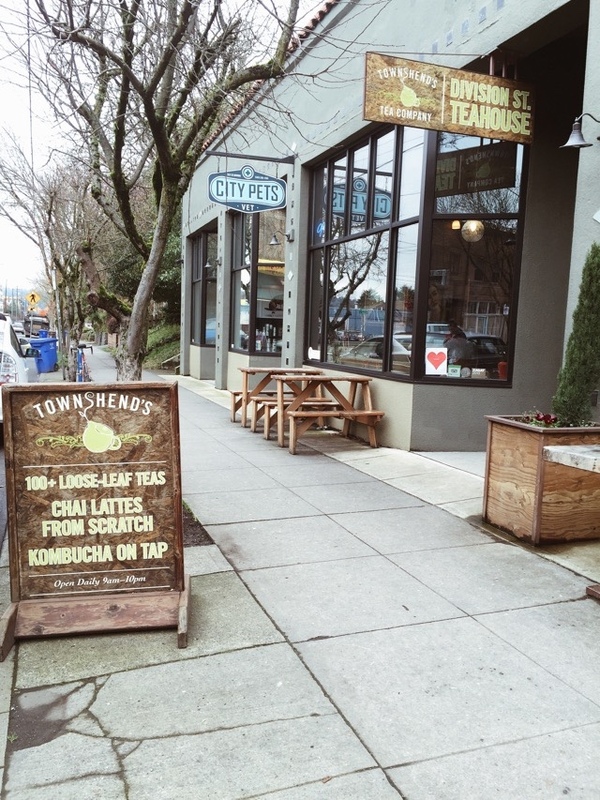 There are other Townshend's locations, one on Alberta St, and another on Mississippi Ave. I went to the one on Division St. because that is the one closest to me.